I've reached the point in my Smart Home deployment where I've run out of regular switches to replace and am now replacing my three-way switches. A three-way switch is a setup where two switches control the same light. You typically find them in living rooms, hallways and staircases. 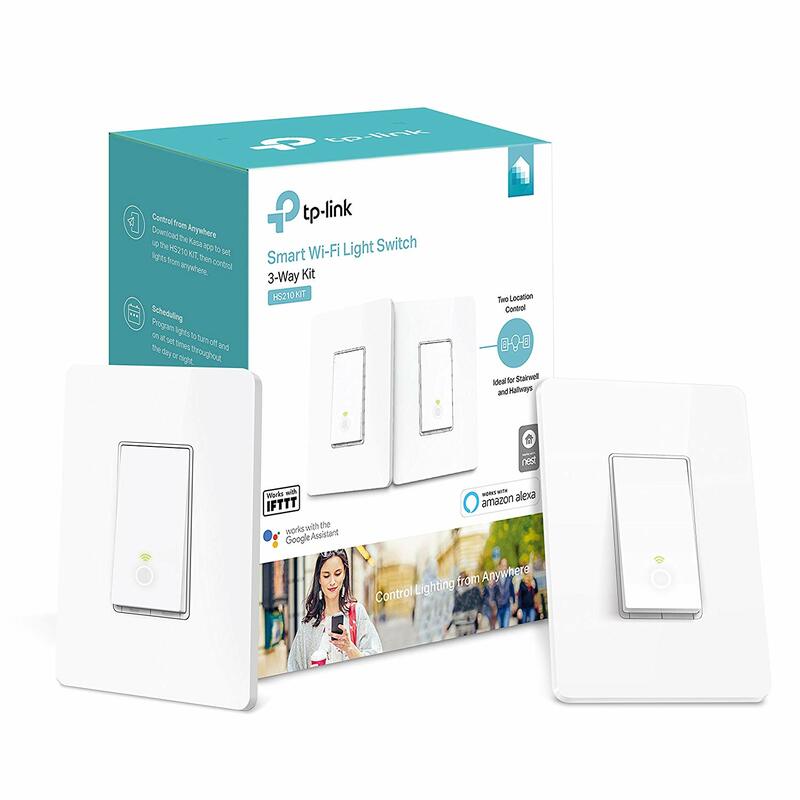 I decided to replace my main hallway switches with the TP-LINK HS210 Kasa Smart 3-Way Kit WiFi Light Switch. The 3-Way Kit comes with two switches, one for each end of the circuit. There are a number of reviews out there that say you only need one switch out of the kit in order for the circuit to work properly. I wouldn't know if that's truly the case, as I opted to install both switches, mainly because I wanted the switches in my hallway to match. But, to be honest, I'm not really convinced that you only have to use one of the 3-way switches and still get full functions from it. These switches were so easy to install, mainly because they have actual screw-in terminals for the hot and traveling wires. This means that you only have to use one twisting cap (for the neutral) rather than three, which means you've got more space in your switch box to accommodate the smart switch. I was able to get both of these switches installed in under 30 minutes which is about how long it usually takes for me to install a single one of the wire twist switches. If I have one complaint about the TP-LINK HS210 Smart 3-Way Switch Kit it's that the actually physical feel of the switch is weird. It's a rocker switch with the contact at the bottom which feels inverted to me. I can get past that, though. Eventually. Overall, I liked the TP-LINK HS210 Smart 3-Way Switch Kit enough that I'm going to buy it again to install it in the 3-way switch circuit that resides in my home office.